Morning broke like any other in Tuscany. Mist slid through the valleys, grazing the perfectly cultivated patchwork of vineyards draped over the landscape, and accompanied, as ever, by the morning chorus of swallows. On Sunday 15th May, this perfect morning tranquility was about to be interrupted by one of the biggest travelling circuses on earth, for the Giro d’Italia had arrived in Chianti. 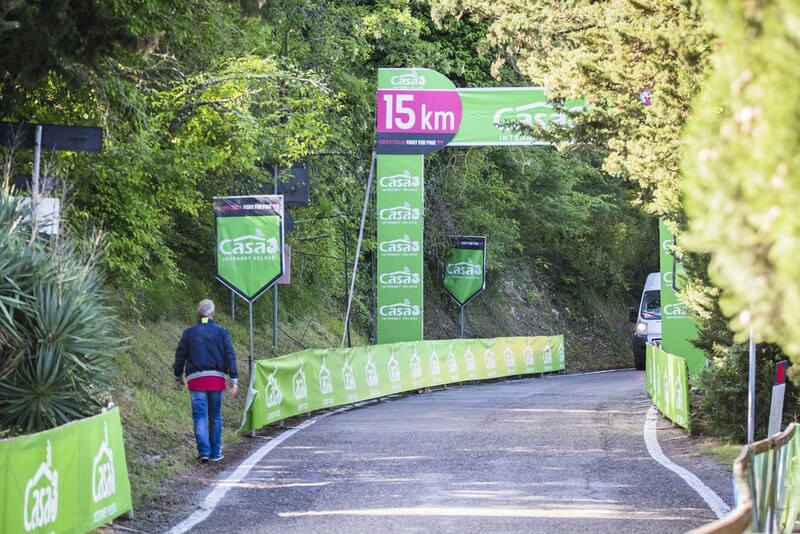 Stage 9 of the Giro this year was the second of three individual time trials and the longest at a little over 40km. 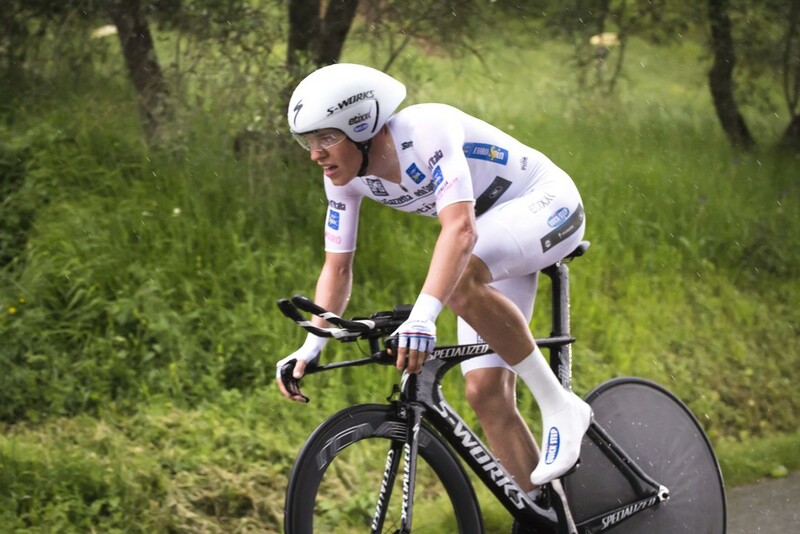 With nearly 2000ft of climbing and some technical sections, this time trial was touted as one of the key stages which would have the potential to really shake up the general classification. Primoz Roglic on his way to an unlikely victory. Emma Nicholson. On paper it looks tough. In the flesh, it is a beautiful race course of a route. The rolling hills and lush woodland create an almost Alpine aesthetic, with roads that snake their way between terracotta towns perched on the hilltops. Dented only slightly by a worrying performance the day before, everyone was predicting that a certain Dutchman would post the fastest time on Sunday afternoon. However the forecasted thunder storms threatened to write a different story. The cycling culture in Tuscany has deep foundations. 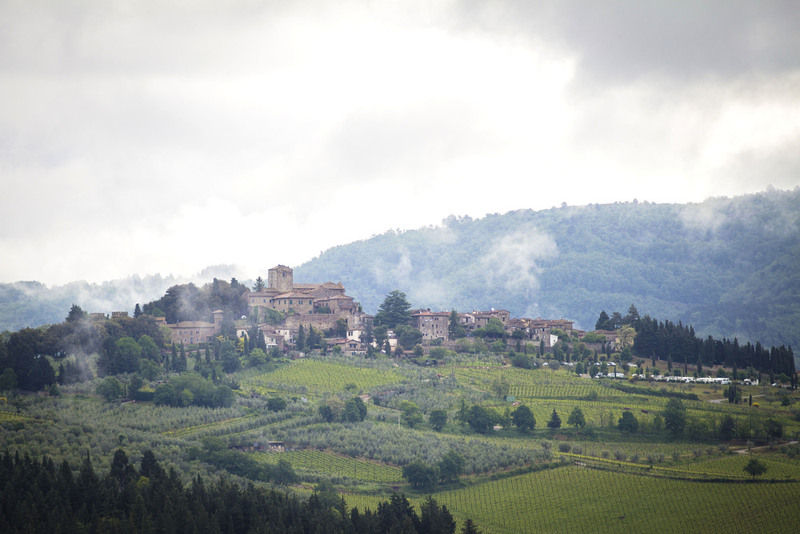 It is home to the white roads of the Strade Bianche, l’Eroica and the legendary Gino Bartali. The people are almost as mad about cycling as they are about wine. Every other shop in Greve (finish line) sells cycling kit with only meat, wine and cheese caves in between. 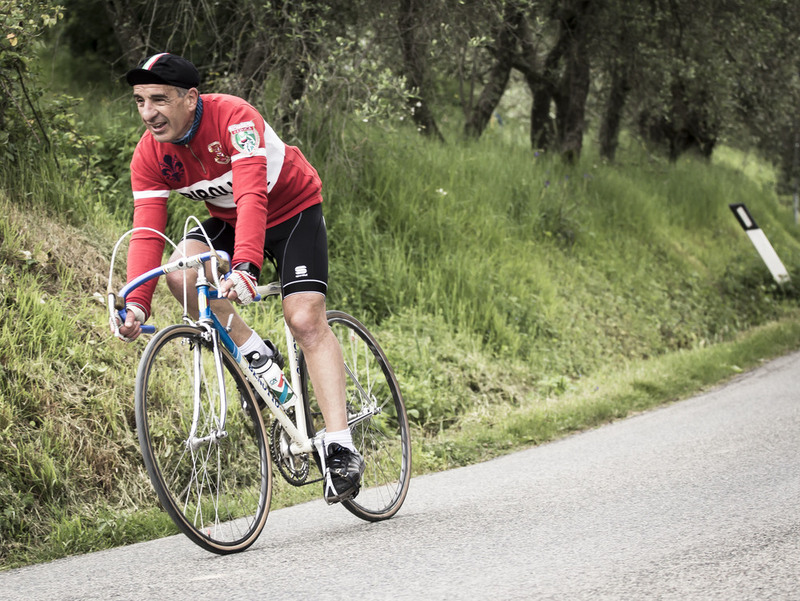 There is a constant stream of cyclists on the rolling Chianti roads, most of them enjoying the late afternoon, twilight years of their lives, upon steel Colnago, Pinarello and Bianchi frames, their dark, leathery skin indicating a lifetime spent out of doors. Caravans were already parked on the roadside 48 hours before race day and barbecues, beer and laughter were plentiful. On the morning of the time trial, the chain of caravans lining the 5km climb to Panzano glittered in the sun, and we could hear the merriment from the other side of the valley. Time trials are seldom the most sought after viewing experience because it is bike racing reduced to the dash from A to B. However, it does give viewers the opportunity to see every single one of their favourite riders up close, grit, determination and pain etched into their faces. Watching on an Italian roadside was a special experience. There was a party atmosphere, not interrupted by the storms that would come, and the enthusiastic cheers whenever any Italian flew around the corner were inconceivably high in volume considering the size of the crowd. We were positioned in Sicelle, a tiny hamlet boasting an ancient church, popular ‘Osteria’ (bar) and not more than half a dozen properties. Perched at the top of a short climb, Sicelle is on a corner, after which the road wraps around the hill and begins the technical descent (that would nearly bring down Mikel Landa) to the foot of the longer climb to Panzano. 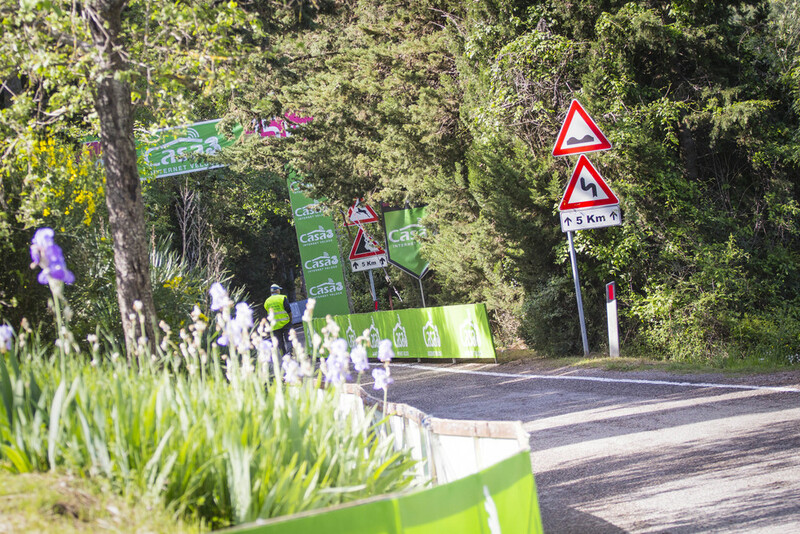 The first rider to carve through Sicelle was IAM Cycling’s Matthias Brändle who had already overtaken the first man off the start ramp, Ji Cheng of Giant-Alpecin, earlier in his storming ride. His excellent effort would end up being good enough for second place. From then on, the riders came every two to three minutes, all 186 of them. The bad weather held back until about half the field had passed through the 15kms-to-go mark, then unleashed all its power on the GC contenders at the pointy end of the race. Rather than dampening the spirits of our little crowd in Sicelle, the rain and thunder seemed to inject even more energy into the afternoon. Now there was drama, greater stress on the riders (and staff), more risk in the technical descents and far more interesting photographs! It seemed that the storm reserved its energy until the tail end of the day and the top ten received the brunt of the force as the skies emptied upon them. Wet through and seemingly in more discomfort than anyone to come before, the GC favourites ground up the hill, mouths hanging open, sucking in as much oxygen as they possibly could. 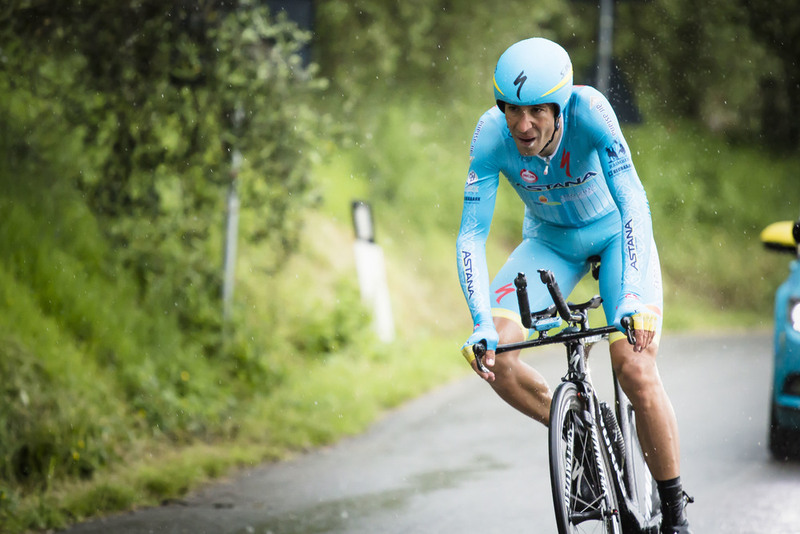 When Nibali appeared, cries of ‘Vincenzo’ could have masked a passing jumbo jet as the nation’s favourite rounded the corner, a string of dribble dangling from his grimace. After the equally well-received Italian, Gianluca Brambilla roared through Sicelle, on an impressive ride that would see him keep the Maglia Rosa, it was over abruptly. The half dozen men who had set up at 6:30am, appeared from nowhere and immediately started to dismantle the barriers as the crowd dispersed. At the finish line in the piazza in Greve, where restaurant seats were selling for €300, an unlikely story had unfolded. The top ten on the stage was dominated by those riders lucky enough to ride in the dry and sunny conditions earlier in the day. Fabian Cancellara had not been able to do enough to get close to the podium, while the first rider home, Matthias Brändle, was joined by teammate Vegard Stake Laengen on the lower two steps of the podium. Winning the day though, with an adrenaline or anger-fuelled ride on a bike that was too small and with no water on board, was former ski jumper Primoz Roglic – a rider who has certainly made his mark on this Giro. Other big winners on the day included Team Etixx-Quickstep with one incredible ride from Brambilla to cling onto the race lead with just one second over his teammate Bob Jungels, who put in a phenomenal performance to take 6th place on the stage, despite riding through the worst of the storms. 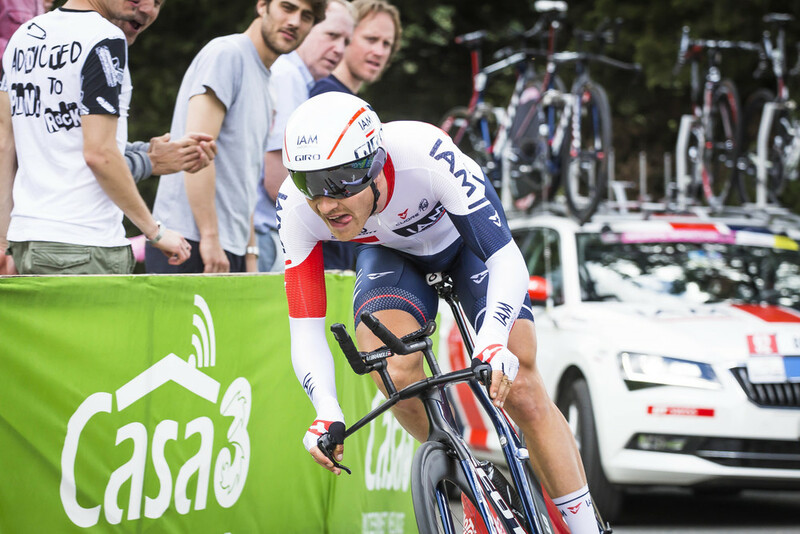 The biggest losers on the other hand were pre-race favourite, Tom Dumoulin, who fell nearly two minutes short of the podium and Katusha’s Ilnur Zakarin, whose time trial was fraught with bad luck. Falling early on and ripping open his skin suit, only to fall again 300m from the finish, the Russian starlet came in 54th on the stage, causing him to fall out of the top ten on GC. A beautiful day for spectators, a difficult day for the racers, the time trial was a story of literal and figurative twists and turns, and the riders would surely have been glad of the rest day to follow. Days like Sunday remind us never to count on anything. 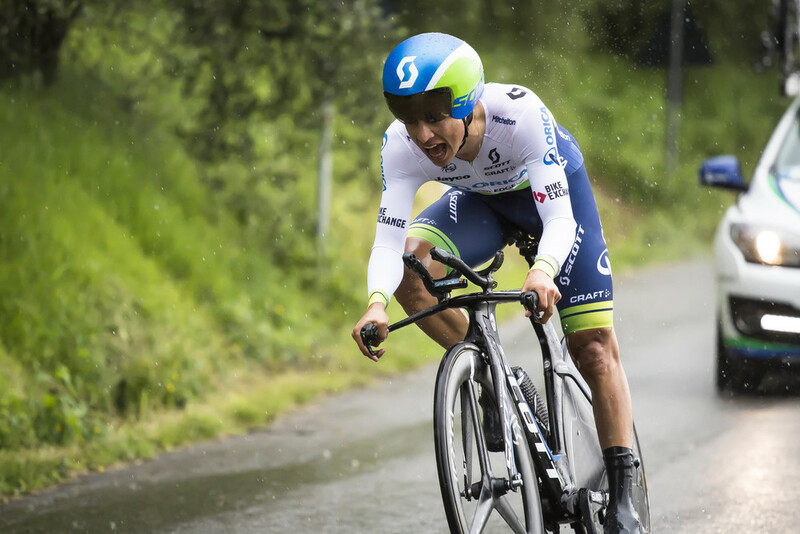 Modern cycling is sometimes criticised as having become predictable, focused on numbers. And it is predictable. Until it isn’t. All you need is some changeable weather and a dash of crafty route-planning, and the story becomes a blockbuster in the making.